Thanks to Sri Guruprasad for FB share – I agree with him! A Korean colleague who was impressed by the diversity of India, asked me if there is any photograph which can wholesomely capture the essence of India. We can only feel sorry for the cows. The poison in our nation was knowingly integrated and deeply entrenched by two adament individuals after partition; one so called ‘Mahatma’ and another man who declared openly that he was a Hindu by accident (now it is known that he was a fake ‘pandit’). In another 5 decades this Hindustan will be an Islamic nation and nothing can be done. Hindus will always remain ‘secular’ and everything our forefathers built will be blown away by the dominant Islam and Christianity! By then, most of us would be dead and gone. R.Balakrishnan. You are right. Most Hindus do not think at all. Christianity spread by violence and took Europe and America and parts of Asia and Africa. Six centuries later Islam conquered every country that it entered. It has been struggling in India since the 8th century. Most people think that it has not succeeded. But there are two factors. 1. Islam has been spreading in India. The old India consisted of the present day India, Pakistan and Bangladesh. The muslim population of these nations is 18,9 + 20+15.5 crores which constitutes 30% of world muslim population. This is the single largest concentration of MUslims in an area. India has the third largest muslim population in the world, after Indonesia and Pakistan. Indian Muslims will overtake Pakistani number soon. Thus Islam has conquered India already. The Christian case is different. In the West, most educated people do not believe in or follow Christian doctrine. But Christianity is growing in Asia due to vigorous missionary activity and active conversion,with international financial and organisational support. But their penetration is through the education system. Over 30% of Indian children attend Christian schools. Over 65% of Indians are under 35 years of age, and they have had no exposure to Hindu religion in any form- they are secular products. 2. Though Muslims and Christians are minorities in India, that very minority status has conferred on them a super-majority status. They enjoy privileges that the Hindus do not have. Every state policy is made with an eye on the Muslim and Christian vote bank. Thus Muslims and Christians really rule India! Islam and Christianity are world wide forces with international political power and financial muscle. 95% Hindus are bottled up in India. When they go abroad, they slog like bonded labour to make other countries prosper. India does not care for them. Most Hindus advance socially abroad only by renouncing their Hindu touch. Hindu In India is made to feel apologetic. Educated Indians are secular ie non-religious and western in orientation. To the list of the two persons you mentioned you may also add the name of the present PM. He has done absolutely nothing to protect or promote Hindu interests in the last 5 years. When Ghar Wapsi came, he backtracked. When some effort was made to halt beef trade, he reversed it. When some changes were sought to be made in education, he halted it and changed the minister. When the judiciary interfered with Sabharimala, he kept quiet. He does not open his mouth on Ayodhya. Nor has he visited it even once in the last 5 years. Hindu temples continue to be under government control and exploitation. Linguistic states have destroyed the emotional unity of Hindus. How can Hindu India survive. It is said that the Ganges will dry up in 50 years, as the glaciers are receding. So will Hindu India disappear, Mr. Balakrishnan, you are right. நான் பள்ளியில் படிக்கும் காலத்தில் (50களில்) பால்காரியிடம் பால் வாங்குவோம். அரிசி களைந்த ஜலம், காய் கறிகள் கழுவிய ஜலம், காய்கறி சீவிய, நீக்கிய பகுதிகளை ஒரு பக்கெட்டில் சேர்த்து வைப்போம். பால்காரி இவற்றை எடுத்துக்கொண்டு ஒரு பெரிய உருண்டை சாணம் தருவாள், இந்த சாணி எச்சில் இடுவதற்கும் வீடு மெழுகுவதற்கும், இரவில் அடுப்பு மெழுகுவதற்கும், காலையில் வாசல் தெளிப்பதற்கும் பயன்படும். மிஞ்சியதை விராட்டி தட்டி வைப்போம், இது உலர்ந்து சமயத்தில் ஹோமங்களுக்கும், வென்னீர் காய்ச்சுவதற்கும் பயன்படும். 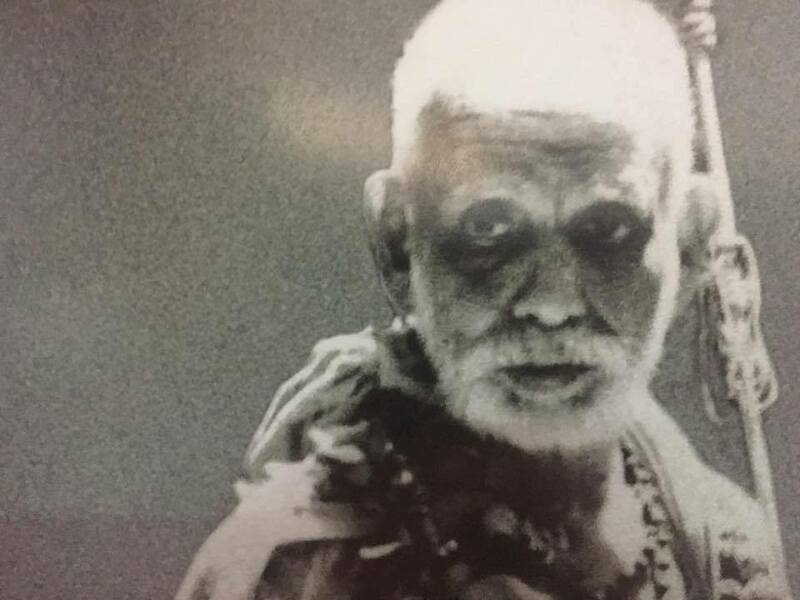 பசு வைத்திருந்த அவர்கள் வயதானாலும் சாணிக்காக பசுவை வைத்தே இருப்பார்கள். அது உயிர் நீத்த பிறகுதான் யாரோ வந்து அதன் உடலை தூக்கிப்போவார்கள். இதெல்லாம் ஒரு காசு செலவில்லாமல் நடந்த சமாசாரம். இன்று இதெல்லாம் நடக்குமா? படித்த பெண்கள் சாணியைத் தொடுவதில்லை. ஃப்லாட் முறை வந்தபிறகு வாசலில் சாணி தெளிப்பதில்லை.டைனிங் டேபிள் வந்தபிறகு சாணி வைத்து எச்சில் இடுவதில்லை. கிராமப்புறங்களிலும் பள்ளிக்குச் செல்லும் சிறுவர், சிறுமிகள் சாணியைத் தொடுவதில்லை. But all these links are gone now! Even an old cow was maintained by the milker family, as it yielded dung which was in demand! We have seen the carcass removed only when the cow died. The male calves were sold in the market after they were weaned, to be brought up as bullocks for agricultural work. But today, all these links have disappeared. Cow is valued just for its milk, and its hide and bones . In the resulting situation, we are often not able to act to protect the cow through all stages. We somehow satisfy or pacify our conscience by supporting Goshalas wherever possible, though we know that this is not adequate. Total cow protection is possible only when the cow and its products get integrated with our daily life. Today such integration does not seem practical, So cow protection is just like the fifth wheel. . This is a splendid idea. The Cow stands for a whole way of life that is Satwik, noble, economically productive and ecologically stable. It stands for ‘The Economy of Permanence’, which is the arthic or economic aspect of Sanatana Dharma. All animals are God’s creation, and are valuable. This is the significance of the animals and birds serving as Vahanas for our Deities. But the Cow, Pasu, is representative of all of them, as the very word Pasu implies. At a deeper level, as in Saiva Siddhanta, Pasu stands for all jivas. 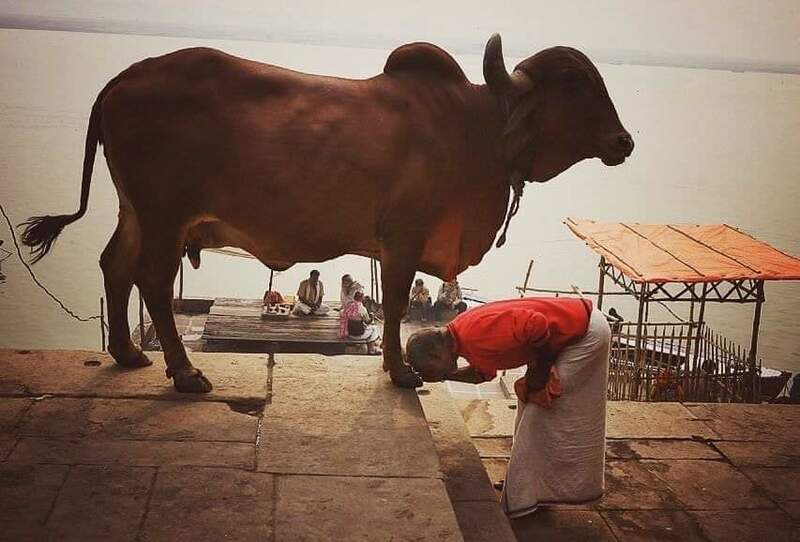 In the Veda, Go or Gau stands not just for cow but Jnana, the highest wealth.So in many senses, this photo expresses the very soul of India. So truly this photo expresses the essence of India. Sri Guruprasad has been truly inspired. Salute to him. Very true. However we should be saying culturally we are all the same from North to South, east to West. Connected by this thread of Hinduism. However our practices changes every 300kms as said above. Such a diverse land with varying language, practice is culturally United by the fact of Hinduism. Beauty of Santana Dharma!